1 month UDPATE: After using this activity tracker for a month, I continue to be very happy with it. It is reliable, I always get about 6 days of battery out of it. I occasionally need to kick the bluetooth connection (disconnect / reconnect on the iphone) but I attribute that more to my iphone than the activity tracker. When I saw the Microsoft Band was announced, I was concerned that I’d made a mistake, but the Microsoft band is much bulkier, not waterproof, and just not something as wearable as the Vivosmart. On a recent trip to Europe, we got curious about how many miles we were walking every day – and also how many miles our kids were walking! We started using the Moves app for our iPhone, but found that it drained critical battery for our long days. I also have a Pebble Smartwatch, so we tried to use that, but it doesn’t do a very good job for activity / fitness tracking. When I read about the Garmin Vivosmart, I thought it checked all the boxes – it is very small, the battery lasts a week, and it displays iPhone notifications on its curved OLED display. The product works exactly as advertised. It was stupid easy to setup – and unlike the Pebble’s setup, I didn’t once have to fool around with Bluetooth settings, the app just took care of everything for me. I have yet to miss a notification. The display works in vertical or horizontal mode. As a travel watch, it’s a great way to track how many steps you take in a day. It’s also great for discretely keeping in touch with friends from around the globe – a slight vibration on your wrist indicates an incoming email/text/facebook message, and a quick glance to the watch shows you the subject. You can use the touchscreen to scroll through the message. It will even buzz you if the watch becomes disconnected from the phone, so you can go back and grab the phone you left in that fancy Parisian cafe. As a watch, it takes a bit of getting used to. To preserve battery, the OLED display is not on all the time – only for notifications, and if you want to see the time (or the last screen), you just lift your wrist and it’ll auto-turn on. (this is similar to how the iphone watch will behave). 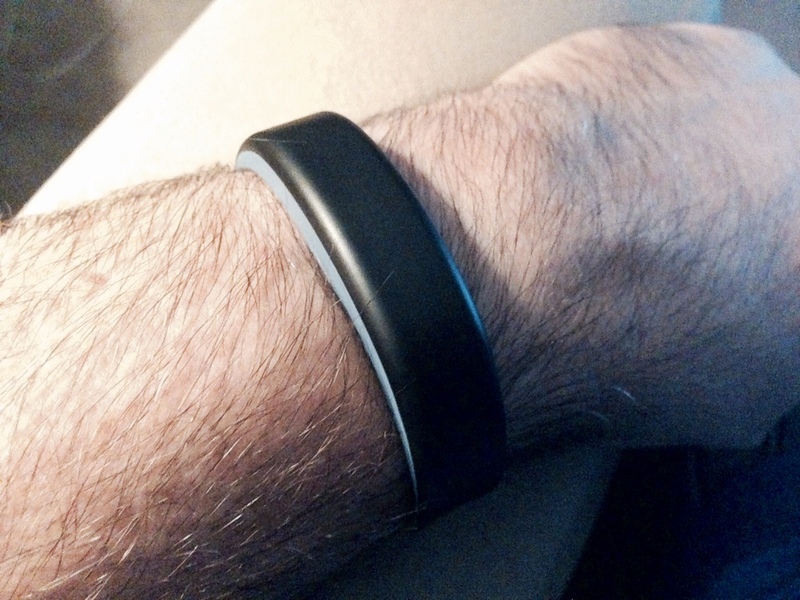 So far, this has been the biggest negative – sometimes it doesn’t detect you lifted your wrist. I’m sure I’ll get used to it. The watch integrates with MyFitnessPal (and thus, with our Wifi Fitibit Aria). So it can also be used for weight and diet tracking, if that’s your thing. So far, this looks like the best activity tracker/smartwatch on the market. And given the rumoured <1 day battery life of the iWatch, I think this’ll continue to be a strong product.